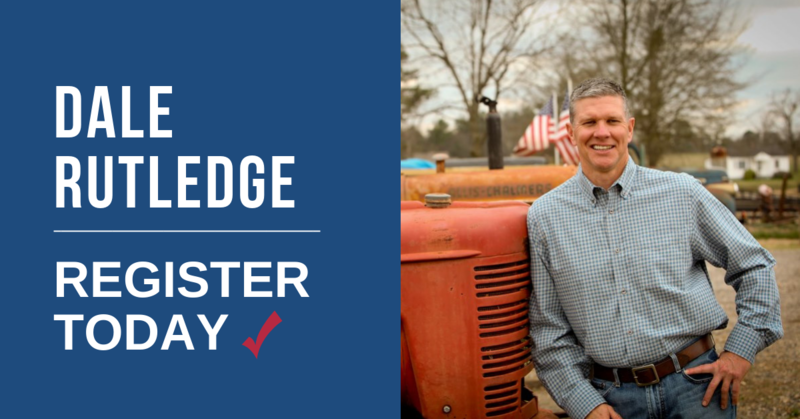 Dale Rutledge For State House – Vote Early! There’s no need to wait until November 6th to cast your vote in the General Election. Participate in early voting through November 2nd! -Log into you My Voter Page with your name, county, and date of birth. Your voter page contains helpful information including sample ballots, who your elected officials are, and absentee ballot applications. -Once you’re logged into your voter page, you’ll have access to your early and municipal voting locations. Select “Click Here for Early Voting Locations & Times” to find where & when you can cast your vote early. I am grateful for your support as I seek re-election for the State House Representative District 109 seat. If you are interested in helping further with my campaign, request to display my yard sign. Send me a private message on my Facebook page with your name, contact information, and address so my team can get a sign out to you. -Georgia is yet again the best place to do business for 5 years running. More Georgians are working today and wages are growing faster than the national average. -We are encouraging 21st-century manufacturing and agribusiness, film production, high tech, data center, and healthcare business expansions. -Targeted technical college and university programs in high demand areas. -Georgia now offers 17 technical college programs TUITION-FREE through HOPE grant in fields with a 99% placement rate. -FULLY-FUNDED student formula statewide in the budget for the first time since the formula was implemented 33 years ago. -The state-funded another $2 billion in teacher retirement last year – $360 million more than required to maintain a sound pension plan. -We’re focusing on strengthening background checks and mental health services. -We’re working towards investing more in school security to ensure our state’s educators and students have a safe environment. Author Dale RutledgePosted on October 30, 2018 Categories NewsletterTags District 109, General ElectionLeave a comment on Dale Rutledge For State House – Vote Early! As the District 109 State Representative, my goals continue to align with supporting smaller government, less business regulation, lower taxes, and responsible spending of your tax dollars. 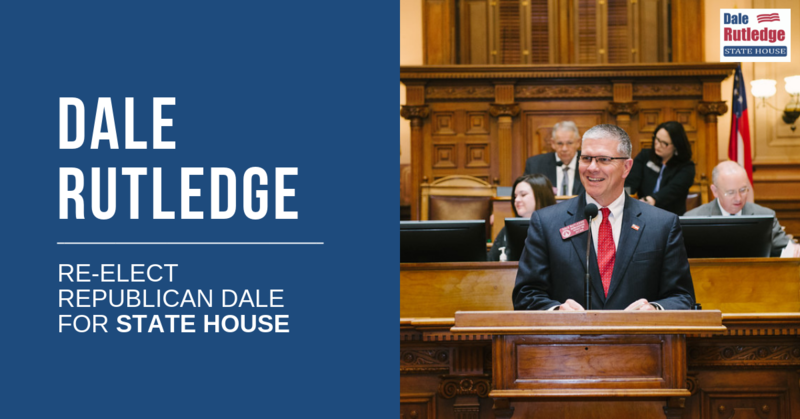 Here’s a closer look at what I’ve accomplished during my time in the Georgia House and what my goals are for the future of Georgia. More Georgians are working today and wages are growing faster than national average. -We are encouraging 21st century manufacturing and agribusiness, film production, high tech, data center and healthcare business expansions. Georgia now offers 17 technical college programs TUITION-FREE through HOPE grant in fields with a 99% placement rate. -FULLY-FUNDED student formula statewide in the budget for the first time since formula was implemented 33 years ago. -Increased education funding per student every year since Great Recession to the highest level in State History ($10 billion out of a state budget of $26 billion). -The state funded another $2 billion in teacher retirement last year – $360 million more than required to maintain a sound pension plan. I hope I can count on your vote in the upcoming November election! 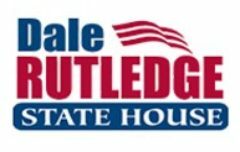 Help me continue to make great strides for the state of Georgia by voting Dale Rutledge for State House. –Find Your Regular & Early Voting Location. Vote Dale Rutledge in the November Election! I am seeking re-election to continue representing District 109 in the Georgia House. Are you registered to vote? The registration deadline is on October 9th. I encourage you to take a few minutes and register to ensure that you have a say in this upcoming election. I am grateful for the support that I received last May in the Primary Election . . . I’ll need you continued support if I am to advance the state of Georgia and its citizens! If you are not familiar with my views, learn about them here. Feel free to interact with me on social media and use the hashtag #daleforstatehouse to show your support. Author Dale RutledgePosted on September 14, 2018 September 25, 2018 Categories NewsletterTags District 109, General Election, Gerogia Republican PartyLeave a comment on Vote Dale Rutledge in the November Election! Here I am with Gov. Deal and Ansley Frickey, the Page for the Day. On Monday, Jan 29th my colleagues and I reconvened for the 4th week of this year’s legislative session. The week was comprised of bill proposal hearings and passing legislation that will positively affect the lives of Georgia citizens. 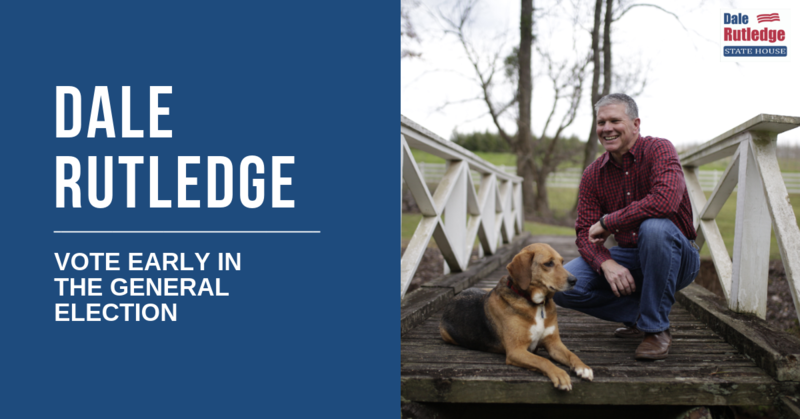 In this blog post, I want to share with you some details on bills concerning adoption, tax reform, retirement benefits for law enforcement, and the preservation of our state’s ecosystem. –A four-day revocation period– Currently, birth mothers have 10 days to revoke surrender of the child. This new version of HB 159 will cut that time down to 4 days in order to balance out the rights of the birth mother and those of the adoptive parents. –Reasonable living expense update– At present, only birth mothers in agency adoptions are allowed reasonable living expenses. Updates to HB 159 would allow birth mothers to receive reasonable living expenses in private and agency adoptions. –Updates to repeal conflicting laws– HB 159 includes safeguards on temporary powers of attorney. It also requires local boards of education to extend maternity leave and other benefits to adoptive parents. You can read additional, similar updates here. The updated version of HB 159 is now in the Senate and will soon be on its way to Gov. Deal’s desk for approval. This is an exciting piece of legislation for future adoptive parents and for our state’s children. I will keep you updated on the bills progress in later blog posts. -and increase transparency for taxpayers by updating the Department of Revenue’s process to electronic-based transactions as opposed to paper-based. The House also passed another bill concerning tax reform last week. House Bill 694 would update the way motor fuel distributors and wholesalers submit their monthly motor fuel tax reports to the Department of Revenue. Currently, distributors file reports electronically if they owe the department $500 or more. This updated bill would require distributors to submit all monthly reports electronically, regardless of the distributor’s tax liability. House Bill 135 would expand the term “law enforcement officer” to include Department of Driver Services (DDS) investigators. Investigators would qualify to receive up to an additional 5 years of creditable service in the state’s Employees’ Retirement System (ERS) for past law enforcement service. DDS investigators that are not already receiving retirement benefits from a local government for the same service and/or if they have been a member of the retirement system for at least 10 years will not be eligible. This bill updates a measure from last year that made it possible for all other law enforcement officers to receive creditable service through ERS. The last bill I want to share with you concerns our state’s official state insect—the honey bee. Georgia is the 3rd largest bee producer and the 10th largest honey producer in the US. House Bill 671 would create a specialty license plate to promote honey bee conservation in order to protect an essential player in our state’s ecosystem. All the proceeds from license plate sales will go to the Georgia Beekeepers Association. This effort will raise awareness about honey bee endangerment and support beekeeper education, prison beekeeping, grants for beekeeping organizations, and research facilities. The 28th day of the 40-day legislative session is called “Crossover Day.” This is the last day for a bill to move from one chamber to another. This means that my colleagues and I will be working diligently as we approach Crossover Day to make sure certain bills get the opportunity to be signed into law this year. The House began the 3rd week of this year’s legislative session on Monday, January 22nd. My colleagues and I had a busy week of committee meetings and further deliberation on Gov. Deal’s budget proposals. We also met with the Senate to pass an adjournment resolution that sets the schedule for the remainder of session. The last day of the 2018 legislative session, also known as Sine Die, will be on Thursday, March 29th. We are already a 4th of the way through the 2018 legislative session, but there is still much to accomplish before we adjourn! During last year’s session, the house adopted House Resolution 389. This resolution established the House Rural Development Council (RDC) which was tasked with traveling to rural communities throughout GA to study the areas issues and needs. They paid special attention to factors closely related to economic development such as education, infrastructure, healthcare, and economic growth incentives. In December of 2017, the RDC released 2 reports detailing their recommendations on what could boost economic opportunity in rural areas. The result of the RDC’s efforts was the introduction of House Bill 735. This bill would create a tax credit for short line railroad track maintenance expenditures to incentivize investment in rail infrastructure in rural Georgia. I expect to see more legislation concerning growth in our rural areas to ensure that all of Georgia is advancing. Transportation will be a main focus this session. In fact, we have already begun prioritizing this focus. Last session, we implemented House Resolution 848 which established the House Commission on Transit Governance and Funding. This commission was tasked with studying our state’s transportation needs in order to understand how we can plan and improve as our state grows. The House will soon see and deliberate legislation based on these findings. I will update you on transportation proposals introductions in later blog posts. On Thursday, January 25th, The House Rules Committee met for the first time of this year’s session. The Rules Committee determines which bills should be debated and brought to a vote on the House floor. We will soon be voting on this session’s first pieces of legislation! I am looking forward to sharing these bills with you as session continues. -After we review the governor’s proposals in our respective Appropriations subcommittees, the House will draft a bill for the Amended Fiscal Year 2018 budget and the Fiscal Year 2019 budget. -These drafts will go to the full House Appropriations Committee for review and then to the Rules Committee to be placed on the House calendar. -Once the budgets reach the House floor, every member of the House will get the opportunity to share opinions and ask questions before voting. -After passing through the House, the Senate will repeat the same committee process. -The Speaker of the House and the Lieutenant Governor will appoint a conference committee to resolve any differences between the House and Senate versions of the budgets. -Once these differences are resolved, the budget will return to the House and Senate for a final vote. -The budgets are then sent to Gov. Deal to either be signed into law or vetoed. This is a long process that my colleagues and I face every year in order to pass a budget that will best serve the needs of Georgia’s citizens. As the session unfolds, I will provide more details on budget decisions that affect you. The House celebrated National Guard Day by presenting House Resolution 902 to several members of our state’s National Guard. Since 9/11, over 18,000 Georgia National Guard members have been deployed and over 200 are currently being deployed. We honored these brave men and women for their commitment to protecting the liberties of our country and of our state’s citizens. The House is currently reviewing and discussing legislation proposals within their committees. I will have more bills to share with you, so return to my blog next week! The House honored former Covington Mayor Samuel Ramsey with House Resolution 877 for his many accomplishments. Last Tuesday, January 16th, marked the second week of this year’s legislative session. My colleagues and I spent the majority of the week with one of our most pressing responsibilities—working on the budget. The General Assembly is required to pass a balanced budget every year, and we do that by hearing from committees, state agency heads, and reviewing Governor Deal’s recommendations. The House and Senate Appropriations committee met throughout the week for joint budget hearings. Gov. Deal’s Fiscal Year 2019 budget (FY 2019 budget) proposal is the largest to date in Georgia’s history! Our state has seen tremendous economic growth over the past few years, and this proposal reflects that. Georgia’s economic success paves the way for even greater improvements in education, transportation, healthcare, and other areas that affect all citizens. Each year that we are able to maintain our title of the “No. 1 State in which to do Business” means more possibilities for growth in countless areas. The Governor highlighted the fact that Atlanta is a contender to host Amazon’s second headquarters. Our state economy has been consistently improving, so this does not surprise me! Gov Deal gave his budget recommendations for several areas that I will highlight below. The FY 2019 budget recommendations appropriates a great deal to our state’s infrastructure to ensure that it grows with our population and transportation needs. $25 million allocated from the Amended Fiscal Year 2018 budget (AFY 2018 budget) to expand runways at 11 airports. $10.7 million for growth in the Dual Enrollment program. $127.6 million to fund K-12 enrollment growth and training for Georgia teachers. $1.8 million for the REACH Georgia Scholarship program. $15 million to continue to fund Georgia’s intellectual and developmental disabilities waiver services and to provide supportive housing for Georgians in need. $ 3.5 million from the AFY 2018 budget and $7 million from the FY 2019 budget towards the Children’s Autism Initiative. $22.9 million to fund crisis services, therapeutic foster care, Apex grants, telehealth services, suicide prevention, wraparound services, supported employment and education, and opioid prevention & treatment. In my last blog post, I highlighted the success of accountability courts. These court systems provide alternatives to incarceration for non-violent offenders. The FY 2019 budget includes allocations for $5 million towards accountability courts, so we can continue establishing and operating them throughout our state. This will help low-level offenders get the assistance they need to get back on track and keep them out of the prison system. $256 million for Medicaid expense growth and to offset federal revenue and settlement loss. The General Assembly heard more budget proposals from Gov. Deal that I will update you on as session continues. The House Appropriations subcommittees will hear and review even more proposals this week. Leaders of these subcommittees will eventually pass along their respective portion of the budget to their committees before the draft goes before the full House Appropriations Committee. This committee is tasked with reviewing and passing balanced budgets for AFY 2018 and FY 2019. Last week, the Senate passed their version of HB 159. This bill passed unanimously in last year’s session and would modernize our state’s adoption laws for the first time in nearly 30 years. The House will review the Senate’s amendments the this bill, and we hope to get this bill signed into law very soon! As you read this, my colleagues and I are working towards creating a balanced budget for our state and passing legislation that will support our state’s continued growth. Return next week to learn about the third week of the 2018 legislative session! You are always welcome to come and visit me at my capitol office located at 601-C Coverdell Legislative Office Bldg. Atlanta, GA 30334. You can view my committee assignments for legislative term here. Please feel free to contact me by phone at 404.656.0254, or by email at dale.rutledge@house.ga.gov. Don’t hesitate to reach out throughout the legislative session with any opinions or questions you may have. I look forward to hearing from you! On January 8th, the House joined together for the first week of the 2018 legislative session. This is an exciting and important time for my colleagues and I. We are currently hard at work on passing legislation that will improve the lives of Georgia citizens. The first order of business was for Governor Nathan Deal to deliver his final annual State of the State address. After four decades of service to the state of Georgia, Governor Deal will retire. We were all encouraged by his speech which covered his hopes for the future and how far Georgia has come. Since Gov. Deal has been in office, Georgia’s unemployment rate has dropped from 10.4% to 4.3%, over 675,000 private sector jobs have been created, and Georgia has been named the number 1 state to do business with for the last 5 years. I’m sure you have noticed the increase in GA film production over the past few years. Gov. Deal touched on this as well. There are now over 200 new companies located in the state of Georgia in support of our growing film industry. An impressive 92,000 jobs are tied to this industry! In addition to this, roughly 1,900 students have taken courses at the Georgia Film Academy. These individuals will eventually go on to support and further grow the industry. I’m excited to see how far our state goes in this area. Gov. Deal touched on our improvements in education as well. Since he took office, state spending on education has seen a $3.6 billion increase which brings us to $14 billion in state education expenditures. You may recall the allocation of funds to create the Sandra Dunagan Deal Center for language and Literacy at Georgia College and State University in Milledgeville. This center opened in June 2017 to give educators the skills they need to improve literacy in our schools. Gov. Deal highlighted the center’s namesake First lady Sandra Deal for her terrific work as an educator. My colleagues and I were also reminded of how far the HOPE Scholarship has come. When Gov. Deal took office back in 2011, the HOPE Scholarship and other grant programs were nearing bankruptcy. In response to this, Gov. Deal created reforms that kept these programs afloat along with the HOPE Career Grant program. This program covers the cost of technical school tuition for students in one of the 17 strategic industry, high-demand fields. 99.2% of these students have found employment! The state of Georgia has also seen great strides in criminal justice reform initiatives. For example, our state’s accountability courts have been successful to say the least. These courts provide sentencing alternatives for non-violent offenders and have significantly decreased the prison population. Today, there are 149 reform programs and all of Georgia’s judicial circuits manage at least one kind of accountability court. These recommendations will guide the General Assembly’s decisions as we do our best to create a balanced budget.You will learn more about what will be included in the budgets as session continues. While most of this first week of session was spent getting to work on legislative decisions, we took time to celebrate College Football Playoff National Championship Day. On the first day of session, the House adopted House Resolution 867 which recognizes Dan Corso, president of Atlanta Sports Council, and commends the Atlanta Football Host Committee for organizing the championship game. While we were not victorious, hosting the National Championship was a first for Georgia and that is something to be proud of! We are currently in our second week of session working towards creating important, impactful legislation for the state of Georgia. Each week, you can return to my blog to read updates on the 2018 legislative session. I Want To Hear Your Feedback. With the new legislative session being right around the corner, I want to know what’s on the mind’s of District 109 citizens. What do you want to see accomplished in District 109? What are your questions and concerns? Your feedback would be greatly appreciated and will help me serve you best. I look forward to hearing from you! The holiday season is upon us and there are plenty of ways to celebrate in District 109. Here are a few festive events for you and your family to enjoy! With the new legislative session being right around the corner, I want to know what’s on the minds of the voter. I participated in Take Your Legislator To Work Day. Here I am photographed with Hannah ( to my left) and her co-workers. October is National Disability Employment Awareness Month! I was honored to be asked to participate in Take Your Legislator To Work Day. The program is led by APSE: The Association of People Supporting Employment First. This organization created the program to raise awareness of the benefits of hiring individuals with disabilities, and to show that employment should be the preferred outcome of publicly funded services for people with disabilities. I got the pleasure of going to work with Hannah Hibben at the Great American Cookie Co, located within the Locust Grove Tanger Outlets. She gave me a tour, I talked with her co-workers, and I learned about Hannah’s experience in the workplace. Click the following link to learn more about this terrific program: Take Your Legislator to Work Day. With the new legislative session being right around the corner, I want to know what’s on the minds of the voters. Author Dale RutledgePosted on October 30, 2017 October 30, 2017 Categories NewsletterTags District 109, henry county gaLeave a comment on I participated in Take Your Legislator To Work Day.